Salesforce is now using work.com, a domain name it bought earlier this year. Earlier this year I discovered that Salesforce had purchased Work.com. It has now put the domain name to work. The company is using the domain name for Rypple, a “social performance” platform it acquired last year. 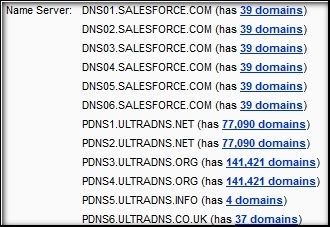 Salesforce has a habit of buying companies and then relaunching them on great domain names. For example Jigsaw.com, which was already a good domain name, is now Data.com. It purchased Data.com for $4.5 million in a deal brokered by Moniker. I suspect Work.com was also brokered through Moniker as it was in one of their auctions. Word on the street was the asking price was just over $1 million.